Danielle has had a lifelong passion for health. Making her way from the east side of the state to Kalamazoo and Western Michigan University, where she majored in Community Health. Soon after she began her career as a Health Educator for the Van Buren County Health Department. In 1997, Prevention Works called her name and she took a position as the Executive Director. Her “can do” attitude and entrepreneurial spirit has enabled her to lead the organization for 20 years. No challenge is too tough. She views each moment as an opportunity to learn and grow. When not at work, you will find her being a cheerleader and chauffeur for her two children, Jack and Lucy. A foodie at heart, you may see her visiting restaurants throughout West Michigan finding the best gluten free dishes out there! She loves to travel, play kickball, visit the beach, work out, read and enjoy time with friends. In my role as Executive Director, it is my job to convey the vision for the organization. This vision provides a view for the future while connecting it with strategic decisions that help align work for an amazing and talented team. At Prevention Works, we believe that all people deserve to be as healthy as they can be. This is accomplished by providing them with tools to make healthy decisions throughout programs, strategies and services. 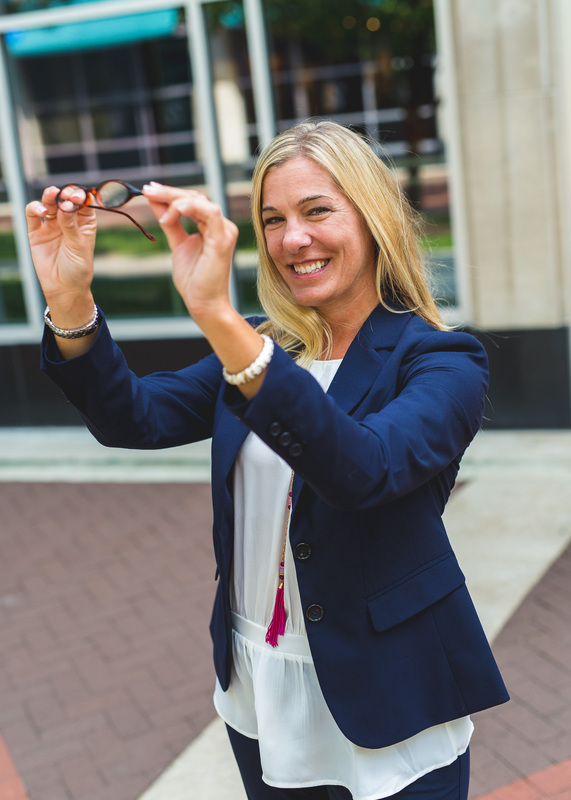 These glasses are representative of how as a leader I need to be able to see clearly toward the future, communicate our vision to inspire action!